Here you will find brief information about the history of our church and graveyard which is detailed more fully in published books. East Kilbride Old Parish Church, located in the heart of the original village of East Kilbride, replaced an earlier ‘Kilbride’ church, dedicated to St Bride, of which there are records in the 1170s. The present-day church was built by James Pollock in 1774-75, as can be seen on the engraved stone on the front of the building. Just outside of the entrance gates is an old coaching inn and, serving both in the old days, the Loupin’ Stane, an aid to mounting a horse or cart. The church is a B-listed building, stone-built, with a highland slate roof, and a bell-tower topped with a Scotch Crown Belfry. The church bell was replaced more than once, the current bell being installed in 1818. It is termed the ‘Hunner Pound Bell’ because of its cost, paid by public subscription. Adjacent is the Old Halls building (1912) consisting of Upper and Lower Hall, Small Meeting Room, Kitchen, Toilets, Office and Lounge/Creche Room. 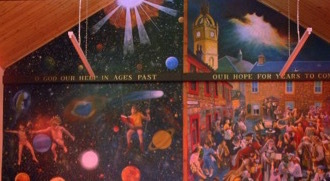 Note: a distinctive two-part mural adorns the wall of the Lower hall, painted in 2007 by Edward Marle and Vince Clark. In the kirkyard is an 18th century mausoleum to the Stuarts of Torrance Castle (see ‘Graveyard’). A new hall, seating around 160, was built in 1974 in nearby Glebe Street. Our Church Vestry was built as a First World War Memorial, with the names of the Fallen inscribed under an arch above the windows. A plaque at the side records the names of those lost in World War 2. Carved in stone right at the top, above the arch, and below the stone Cross are two ancient Christian symbols. Below the Cross are the two letters Alpha and Omega. These are the first and last letters of the Greek alphabet. You have to look carefully, because the carver has intertwined the two letters, and given them some artistic curves and scrolls. In the last book of the New Testament, Revelation, the writer imagines the Risen Lord as saying “I am the Alpha and Omega, the first and the last, the beginning and the end”. Ever since, these two letters have been used in Christian art, to remind us of our faith in God’s love revealed in Jesus Christ. Below the Alpha and Omega is what is called the Chi-Rho sign. Again, this is made up of two Greek letters. These are the first two letters of the Greek word “CHRistos” – our word “Christ”. Like the Alpha and Omega, the Chi-Rho sign has been in use for almost two thousand years. So, even before we enter the Church itself, we can look up and be reminded of the great central truths of Christian faith – carved in stone, yes, but also alive in our hearts and lives. For centuries, the original stood outside the West Door of Iona Abbey Church, close to where the early Columban monastery is thought to have been situated. It blew down in a storm and a replica now stands in its place on the original stone base. The Cross itself is in the little museum to the East of the Abbey, and you can see how wonderful it is. It stands about 12 feet high, and is carved with intricate spiral designs. Not far away, still in its original position, is another of the great Crosses of Iona, called St Martin's Cross. It has figure scenes carved on it ¬showing the Virgin and Child, Daniel in the Lions' Den, and Abraham's sacrifice of Isaac. These great Crosses date from around the middle of the 8th Century AD, some two hundred years after St Columba first came to Iona. The church interior is on two levels and there is seating for around 800 people in total. 1818 - Steeple with 'Scotch Crown Belfry' was built by Robert Pollock and clock added with only three faces. 1862 - South porch added. 1868 - Church cleared of heritor's private seating, and new seating arranged, much as it is today. 1873 - Stained glass windows installed. 1874 - Incandescent gas installed. 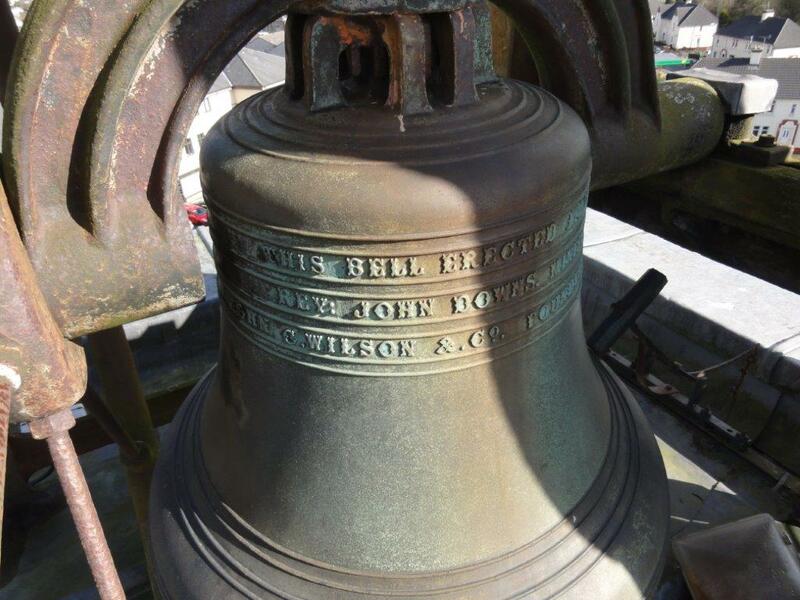 1881 - New £100 bell installed. 1912 - Old Hall built. 1921 - Church War Memorial Stone erected. 1922 - New Vestry built to replace lean-to. 1927 - Electric light installed, Fourth face (west) added to clock. 1928 - Pipe organ installed to replace harmonium (1889). 1958 - Old Hall extension completed. 1988 - Organ replaced by an Allen Digital Computer Organ. We have an index to the burial ground, which is owned and maintained by South Lanarkshire Council. In the past we have been able to assist families to locate graves, including a number of visitors from overseas. 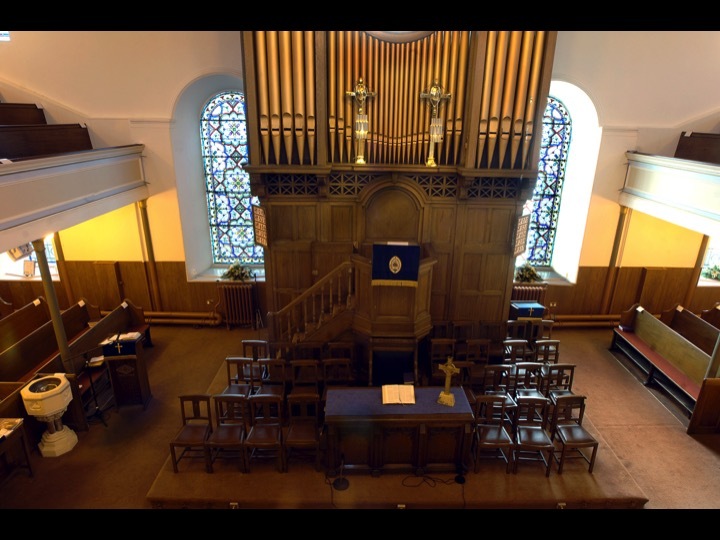 Ask about our Church ‘Doors Open Day’, when we also offer a very interesting tour of the graveyard with fascinating insights into the lives of past church members and locals, not to mention the intriguing ways of engraving and decorating gravestones. • The original entrance was at the rear of the church, next to West Mains Road. Beside the original gates are the remains of a small building. This was used as a shelter for elders, and indeed the minister, who organized themselves to protect the graves against the Resurrections – people who were employed by anatomists during the 18th and 19th centuries to steal recently dead bodies from their graves. • Records show that between 1875 and 1905 there were an average of over 50 burials a week, even though the population of the village was below 4000. 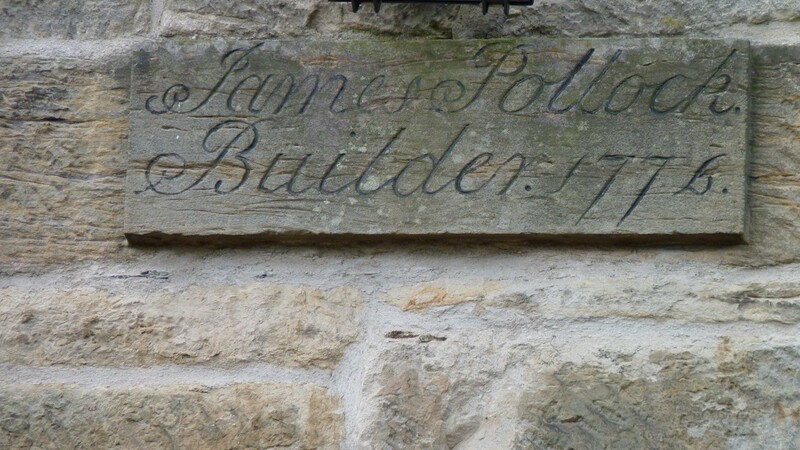 • The oldest upright stone which is readable dates from 1712. 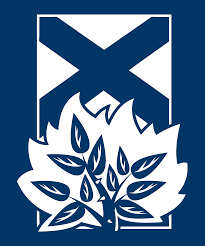 • The parents of the famous surgeons William and John Hunter and Rev James French, tutor of the young Walter Scott are among those buried here. Once an imposing building, all the Stuarts were buried here until the 1800s. There are no bodies here now as they have been removed and buried within their old land curtilage. Recently restored, the tomb now houses only the burial stones of dogs owned by the family.